Muslim man in Assam beaten up for ‘selling beef’: Has brutal hate overtaken us completely? Ali’s blood-soaked clothes are a blot on the 'inclusive India' that political parties promise us when they reach out for our votes. One look at Shaukat Ali’s face will force you to hang your heads in shame because a nation which, just days earlier, broke into celebrations over acquiring anti-satellite weapons in space is absolutely helpless in taking down hate on its soil. The look on Ali’s face is proof that India has failed to nail the thugs who are roaming around beating up people in the name of beef eating, at whim, with scary impunity. For those who do not know, Shaukat Ali, a resident of Biswanath district in Assam, was targeted by a mob on Sunday, April 7, for allegedly selling beef. 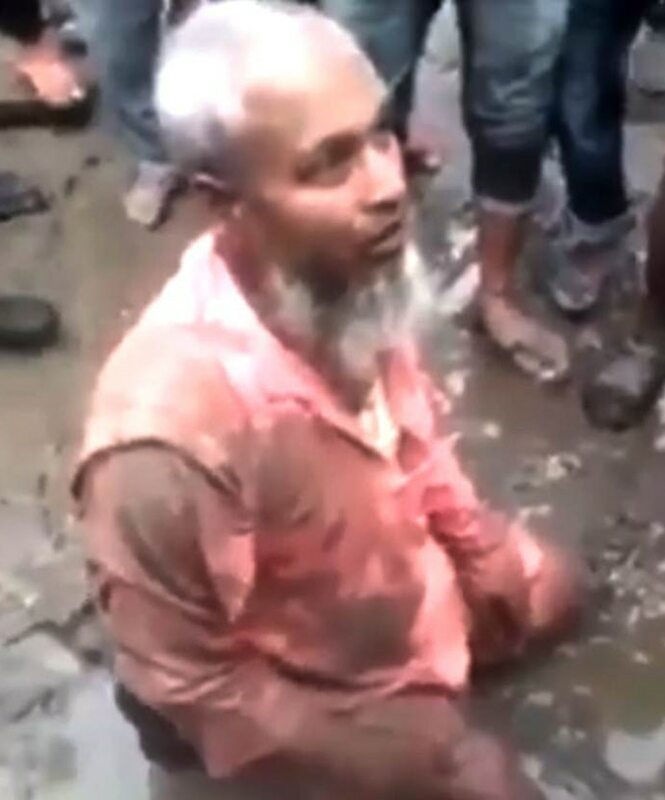 The video of Ali’s harassment, which is being widely shared on social media, shows the victim sitting petrified, in mud and muck, as his assaulters ‘interrogate’ him, asking him if he hails from Bangladesh, if his name features on the National Register of Citizens (NRC). The purported video then goes on to show Ali being force-fed something. Reports claim Ali was fed pork to hurt his religious sentiments. Ali’s attackers are India’s enemies because they have insulted everything India stands for. Our country’s cultural ethos does not teach us to treat someone with such barbarity. And who are these attackers to question people living in India about their nationality? Under what law are they doing this? What office do they hold? It remains to be proven if the meat being sold in Ali’s eatery was beef. But beef is not completely banned in Assam. Cow slaughter is banned in the state except on the issue of ‘fit-for-slaughter’ certificate at designated places. The Assam Cattle Preservation Act of 1950 allows the slaughter of cattle over 14 years of age or those incapable of work or for use in breeding. The law stipulates that such cattle will be given a ‘fit-for-slaughter certificate’ by a doctor of the state husbandry and animal welfare department. Unlike many other Indian states, the law in Assam does not distinguish between buffaloes and cows or bulls. Even if beef was banned completely and Ali was selling it, he can at best be reported to the police, who are then expected to investigate the matter. What has happened to Ali needs to be condemned in the strongest terms because India needs to stop this culture of hate from spreading on the country’s soil. All other space can wait.